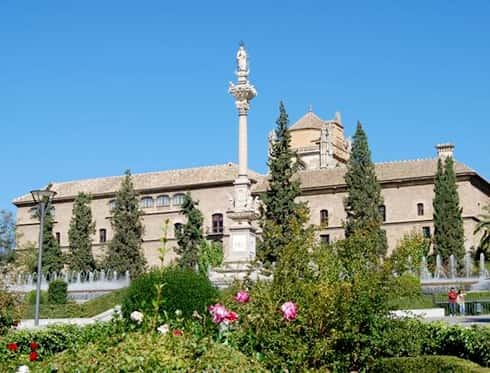 The Hospital Real was founded by the Catholic Monarchs and built by Enrique Egas. It was intended to be a large medical “campus” for the city of Granada. The Hospital Real it was only finished thanks to the insistence and the economic help of the emperor Charles V who inaugurated it before his departure in December 1526. The building is a mixture of different styles: Mudejar, Gothic and Renaissance. Nowadays the Hospital Real hosts the University Chancellor’s office and the University Central Library.